Can anyone help me with how to remove the factory Head unit? I am trying to add a 4 channel amp and i would like to know how to remove it so i can figure out the wiring behind it, more so the speaker wiring configuration and antenna remote to activate the amp. Did you figure this out? Care to share so that others know how to do it? I actually never needed to remove the HU but i have an instruction on how to, ill post it up soon. 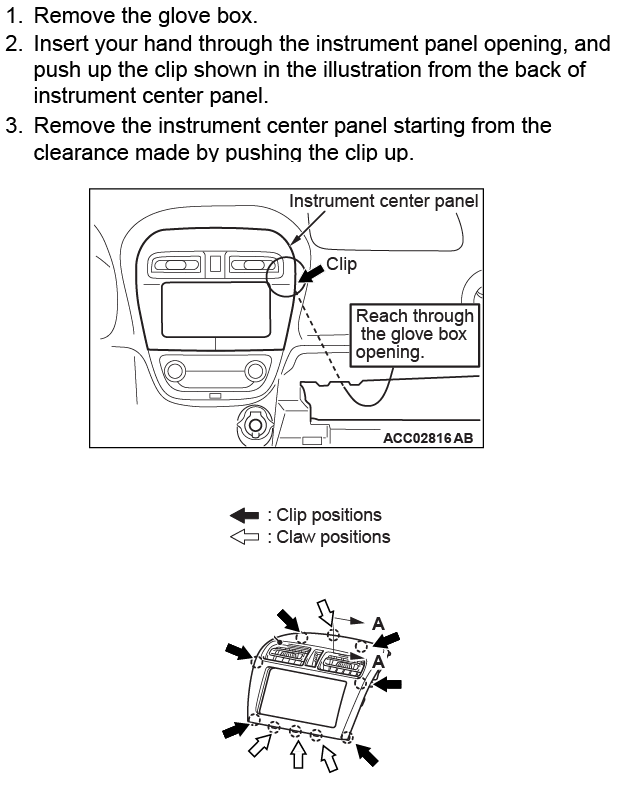 This might prove useful for anyone replacing the head unit or just removing the vent panel. Instead of prying the vent panel out of place from the outside, there is an easier way to get it out. 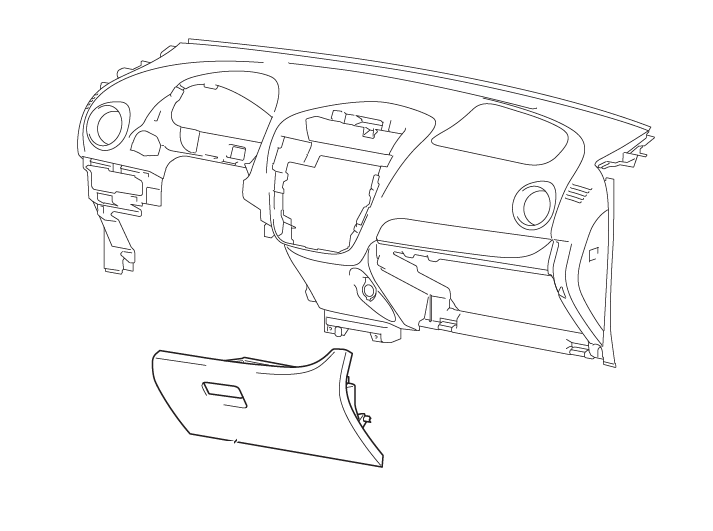 Through the service port inside the glove box, one can reach up inside and push on the tab on the bottom right side of the vent panel. The right side of the vent panel should pop out and the other side can be pulled out easily. I can get pictures if anybody needs, it literally takes less than a minute. Hi, thanks for the info. I know this is old, but after I try it myself I had some problems. How can I reach this clip position (black arrows)? I tried and failed to locate this clip behind the instrument panel, can anyone give me a link/picture of the back of the instrument panel especially how this clip is look like? Google is your friend....the trim removal doesn't seem so bad. I watched it before, and I think it's bad since he uses brute force to pry open the instrument panel. It'll be my last resort though. The problem is: I don't know what to do with that clip over there. I tried to push or pinch it with my hand, it doesn't move. Is it the correct clip ? Or did i do something wrong? Can anyone give me a help, please?